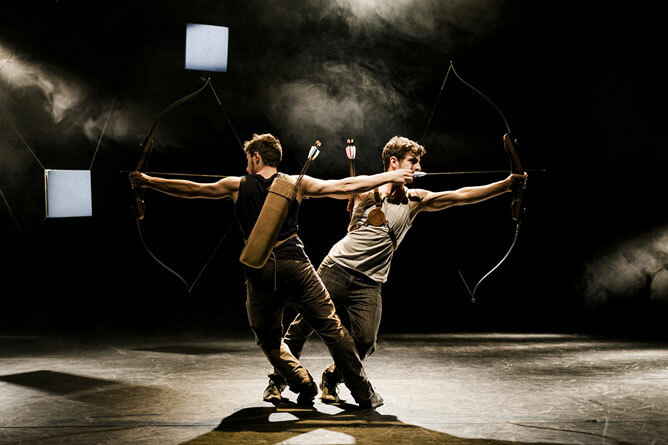 The visual theater and contemporary circus company NUUA was founded in 2012, by the Finnish circus artist Olli Vuorinen and the Brazilian artist Luis Sartori do Vale. 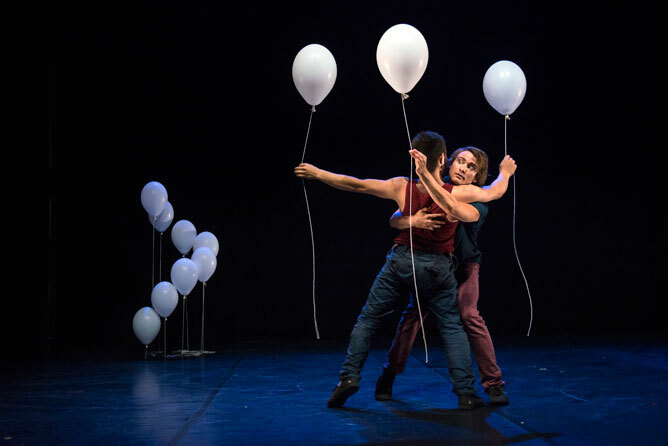 Nuua is one the Finland’s next generation companies in the field of contemporary circus. In a short period Nuua has taken it’s place in the international scene of performing arts. 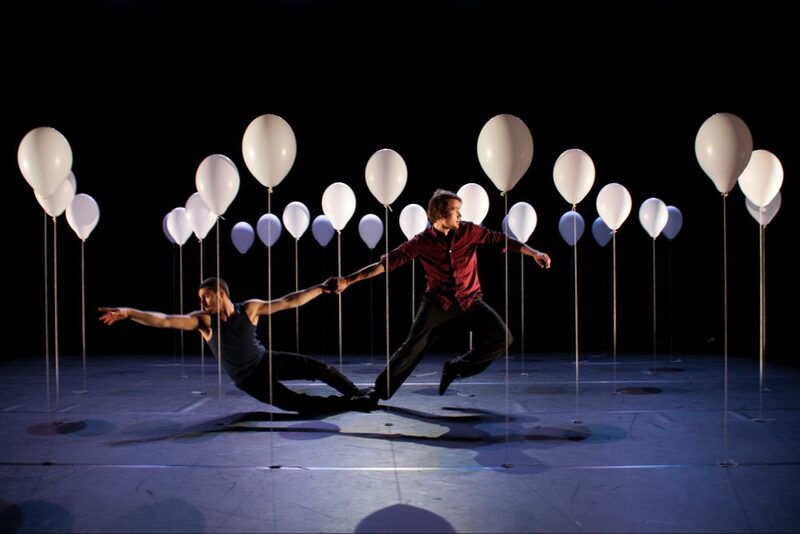 Nuua’s first performance ”Lento” (2013) have reached over 35 000 spectators in 12 different countries. Inside a forest of helium balloons, a small balloon follows one of the artists, as if it was a little bird on a leash, learning how to fly. In the background, attached from the wrist to a bouquet of balloons, someone seems to be lifted up to the air. In a peculiar and oneiric universe, populated with helium balloons, two artists dialogue with each other and with their objects. Far from being ordinary objects, the balloons have their own life. The artists seem to talk, and actually interact with the physical will of their own tools. 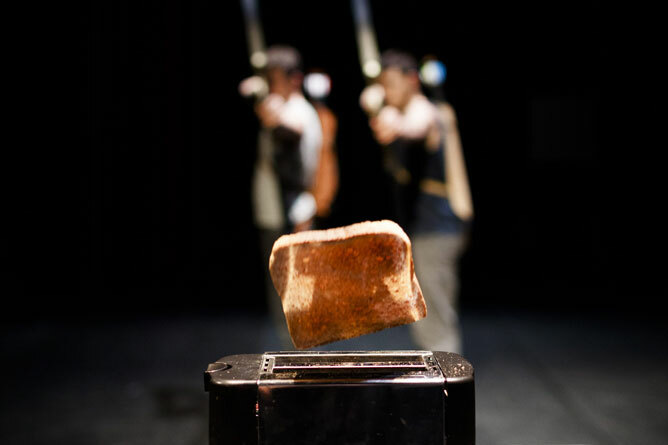 Combining object manipulation, juggling, acrobatics and physical theatre, with hints of puppeteering and magic, LENTO is a research on risk, control, obsession and nostalgia. With strong images and poetic situations, NUUA invites the spectator to celebrate the miracle of flight.